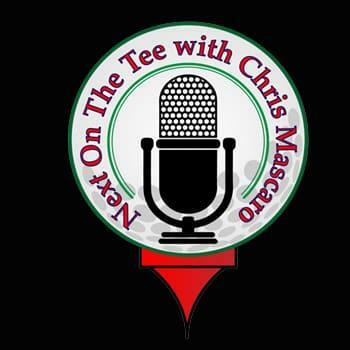 Next On The Tee was piloted on April 5th, 2014 in partnership with the Armed Forces Radio Network. The show debuted with a Masters Preview edition featuring Gary Player, Billy Casper and Peter Kessler. The show was an immediate success and AFRN agreed to add it to its weekend line up. Every week we bring you PGA & LPGA legends, Pros and Top Instructors sharing their stories, insights and tips to help all of us better enjoy the game. We also talk about the mental side of the game and how we can have more fun by turning our negative self-talk around and into positive reinforcement. The show can be found on great sites like: Podbean, iHeart Radio, Tunein, Player.FM and Stitcher. A very special thank goes out to our friends over at Podbean. They have regularly featured the show on both their Web site and mobile app. If you haven’t done so already, please go check them out. They provide the best in podcasting across all genres. Next On The Tee often hosts Caddy For A Cure on its world wide show and podcasts, and can be heard over the Armed Forces Radio Network encouraging the brave men and women serving our country wherever they may be deployed. Please CLICK HERE to visit Next On The Tee.